Home inspector licensing finally got passed in Ohio, after over a decade of trying. Ohio benefited from the years of work. It is outstanding home inspector licensing law. On January 4, 2019 it was signed into law by Governor John Kasich. It was the last remaining unregulated part of the home buying process in Ohio. Licensing is expected to begin in late 2019 or early 2020. But there’s a wrinkle. It might go away again in six years. There also are some great improvements, compared to neighboring states. Ohio seems to have learned a lot from Kentucky’s bungles and blunders while cherry picking good ideas. There’s a lot to like here. Including a three-year license. If Kentucky really wanted to “cut red tape,” instead of faking it, that would be an expressway. However, prospective licensees also should be wary. “Wary” because some schools already are advertising Ohio courses – even though no courses or schools have been approved. No pre-license training requirements have been set up either. The Ohio Board hasn’t even been appointed yet to set up rules like that. “Individuals can get ahead of the curve by taking a home inspection licensing course offered by the Inspection Certification Associates,” one school advertises. Really? You can’t get “ahead of a curve” when the road doesn’t exist. But you could barrel into the woods. For starters, Ohio ditched the ASHI Model Legislation, which Kentucky used. Ohio basically wrote its law from scratch, and then rewrote it over the years, as all the people affected chimed in. The result may be a new, 21st century model. ASHI’s stuff has been dated for decades, but there was no real competition. Now there is. That’s a real leg up for anyone trying to improve home inspector licensing, and for the states where licensing is still overdue. The six-year design life of Ohio’s law is part of the larger purpose at work. Licensing was tucked into a larger, “must pass” 54-page law, to “reform occupational licensing.” It was sold mainly as a “sunset” law for all Ohio licensing. Licensing boards and “authorities” are “triggered to expire” every six years unless they survive a review under the law, Senate Bill 255 (formerly HB 211). One third of all boards will get reviewed every two years. To survive, boards “have the burden” of showing “a public need for its continued existence,” using 27 standards, summarized below. Sunset laws are a ready-made cash register for politicians and lobbyists. What’s not to like? It’s fair to say Ohio seems to have learned important lessons from Kentucky, and others, particularly where our home inspector licensing fell down. It also picked off some of the best in Kentucky home inspector law, like our 411 right to cure. You have to give them credit. A client protection fund is built in. Despite repeatedly hearing the idea over about a decade, the KBHI persistently ignores it. Never mind that there are similar funds for agents and for lawyers. Ohio’s new “Home Inspection Recovery Fund” is a huge improvement over Kentucky law. The law says it will pay up to $40,000 (Forty Thousand Dollars) for any one home inspector. But the economics say the funding will not be there for years, if ever. Money for the Fund is to come from a $5 (Five Dollars) “special assessment” per year for each licensee until the Fund builds up to $250,000 (Two Hundred Fifty Thousand). Then there’s an inexplicable gap, simply not addressed – until the Fund reaches $500,000 (Five Hundred Thousand). At $500,000, a $3 (Three Dollar) per year “special assessment” is authorized, until the Fund reaches $1,000,000 (One Million Dollars). The special assessments end as long has the Fund has $1,000,000 or more. The assessment is included in Ohio’s $250 per year maximum licensing fee, not an add-on. Since the Fund is likely to be nickel and dimed from the beginning, with claims and “service fees,” growth will be slow. All that will cut down on the Funds chances of growing to that $1 million mark anytime soon. Inspectors whose work leads to valid claims against the Fund can have their licenses suspended until they repay the Fund in full, plus interest. It could be discharged in bankruptcy, however. But then the original claim could have been too. The process for making payable claims is laid out with care, and arranged to involve a court, rather than the Board. Combined with mediation, which the law also provides, Ohio has come up with a far more helpful system for the public and the inspector. Kentucky could too. It has had over $300,000 of unspent KBI money “swept” – or just taken away – over the last decade. That’s would have been plenty to nicely bankroll a Client Protection Fund. Until now, claims over a few thousand dollars often ended with inspection companies going dark and PO.ed clients. We can do better than that. Ohio is a fine example. Mediation is required for Ohio complaints, if the inspector requests it. Any settlement (or “accommodation”) that results, and the mediator’s report, is “confidential” and “not a public record.” While PLI always has taken exception to secret board actions, it’s a closer call when it’s a private settlement. There, confidentiality can be an incentive to solve problems expeditiously. Mediation beats “win-lose” complaint handling by boards, nine times out of ten. Practically always, people work out their own problems better than boards, committees, and strangers. No fudge there. Inspectors gripe all the time about Kentucky’s start date (when the complaint knew or should have known of a problem). It’s OK, and routine here. But Ohio’s is better, and rock solid. • A “late renewal” (or “grace period,” as Kentucky called it) is legislated, and not discretionary. Right now, Kentucky is ditching our “grace period” – but it cannot do away with the problems that previously prompted the KBHI to adopt it. • The Board has to “disseminate to licensees and the public information” about Board actions and activities, under the Ohio law. “Well, DUH,” you might think. Any board in its right mind would do that, right? Not. On the “public information” side, the KBHI has been mouse-like mum. No PSAs (though it once spent months writing one). No mailers. No brochures for agents to hand out. It wrote one up once, when Louisville inspector Rob Johnson was on the KBHI and took that bull by the horns. But it never made it into print. After about a dozen meetings, in the end, the KBHI never actually printed a single brochure for agents to give clients, explaining the protections home inspections provide. Kentucky never even published the facts and law behind board decisions on complaints. Bare outcome summaries get buried in the board’s minutes, without citing law or giving reasons. Not even the KBHI wades through 12 years of minutes looking for precedents. So, today’s board and its staff have no idea what prior board decisions did. Neither do home inspectors or agents or the general public. There is no way to look them up either. So the opportunity for a board to improve performance through complaints is totally flushed down the toilet. Same for the usual duty to let the public and professionals know how the rules work. Not in Ohio. Helping everybody understand the rules is the really important part of reporting every decision or complaint. For example, not reporting a heat pump recently got an inspector disciplined by the KBHI. Inspectors should be told that. Other KBHI actions, like rewriting regulations, are just as invisible. To this day, (except for three “newsletters” in name only in 12 years), the KBHI never as notified inspectors or anyone else when it changes regulations. It’s currently redoing all its regulations – without saying a word to licensees. It all makes you wonder. Are they worried someone might see them helping buddies? Or do they just believe in ESP? The policy seems so obvious that it never came up when Kentucky wrote its law. But, inexplicably, the KBHI never has done that. If Kentucky’s board even knew the “relevant case law,” it could do a far better job. But the KBHI has not even asked its lawyer to write a memo updating it – and providing a ready reference handbook for meetings – in over a decade. At the January meeting, it turned out that the KBHI’s law handbook, containing only state laws and no cases, was about seven years out of date. Ohio’s law is a fine way to nudge its Board to keep up with court decisions and changes in law, state and federal. And keep everyone current too. • “At least three” names of licensed home inspectors must be given if agents give referrals to buyers or sellers. And agents cannot be sued for home inspector referrals. Oddly, the law expressly says agents have to do zero due diligence when referring inspectors. Without that protection in Kentucky, many agents are uptight about giving any referrals. • Board members get no compensation (except reimbursing “actual expenses”). Kentucky’s board has never turned down money a member wanted. And it has voted to raise its pay. Why not? • General liability insurance is not required for every home inspector, although that insurance is part of Ohio’s law. If a home inspector’s employer carries general liability covering the inspector, that is good enough for Ohio. And why not? • The Governor names five members – not all — of the seven member “Ohio Home Inspector Board,” instead of every member of the board, as Kentucky does. One member each, representing the public (with “no financial interest” in home inspecting), gets appointed by the President of the Senate and the Speaker of the House. Ohio’s Director of Commerce is ex officio to the XO of the Board. Kentucky likewise had the Commissioner of DHBC (the Dept. of Housing, Buildings & Construction) on the KBHI in its original set-up. Usually, he sent two delegates, each with over a decade of experience in state government. No one did more to help the Board stay on the rails and be productive. Since then, nothing has worked better. Lots of setups worked worse. (The Director of the old Office of Occupations & Professions showed up for a while previously, but he was too new to state government to lend a hand, for example.) Today, the Executive Director of the new Ky Real Estate Authority (KREA) sits in on KBHI meetings. But he’s largely no help, since he’s new to state government too, and still learning both how its works, and administrative law generally. 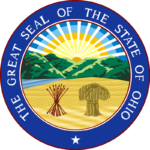 Ohio’s home inspector board appointments are to be made with ninety days of the law’s effective date. There’s more that will inspire people to push the “LIKE” button when they read this law. For example, Ohio’s law specifies 10, and only 10, reasons for refusing to issue or renew a license. That’s the way it’s supposed to be. Right now, it’s up to the mysterious whims of a KBHI that also refuses to publish case summaries and decisions. Even when the KBHI had a chance to do that in revamping today’s regulations, it ducked. Your guess “why” is probably as good as anyone’s. But how would you like a rule that said somebody can take away your driver’s license for whatever reason, instead of for specific offenses (that you could know in advance, and avoid) – and then not give a reason for taking it, and then make it impossible to look up prior decisions under the same laws? You get the picture. Getting the law passed this time around had the full support of Ohio REALTORS, The Home Inspectors Institute, InterNachi, and the Ohio Chapter, North Central Ohio Chapter and Southern Ohio Chapter of the American Society of Home Inspectors. Getting everyone together is how you get things done. Partly because Kentucky has no comparable, authentic state association, and just CE providers, there has been no equivalent push to improve Kentucky’s laws. The Ky Association of Home Inspection Professionals (a genuine association, selling nothing to inspectors) is likely to fill that vacuum. “We’re grateful to Ohio Senate President Larry Obhof, House Speaker Ryan Smith and Rep. Jim Hughes, the measure’s original sponsor, for their strong leadership in securing passage off this critically important consumer protection legislation,” said Ohio REALTORS President Tiffany Meyer. “We’re also thankful to thousands of Ohio REALTORS who made their voice heard in support of passage. Overall, our hat’s off to Ohio. It was a long, long time coming, but this is an excellent job. You could actually say it was worth the wait! Does this mean that you will be opening an Ohio office? Thinking it might be a good idea! Wow, lots of good information about the Ohio License regulations. Did they say anything about reciprocity with KY? Does Indiana have reciprocity with KY? I will be seeing you this summer to renew my radon license. Thanx for the update – good as always. Great information! Thanks for the update. See you at the next CE. You actually make it seem so easy along with your presentation however I find this matter to be really something which I feel I might never understand. I am looking ahead on your next submit, I’ll attempt to get the hang of it!